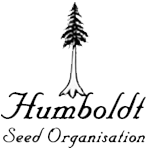 Humboldt Seed Organisation - Raspberry Diesel. Free US delivery. 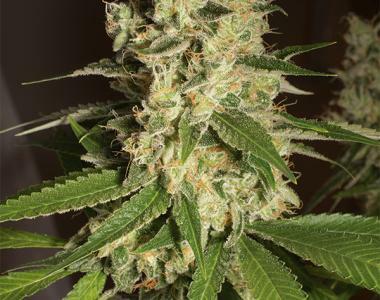 The Raspberry Diesel feminised sativa-dominant hybrid is a cross of an old Cherry Afghan with Sour Diesel. High yielding strain, especially outdoors, and high resin production makes this a good cannabis strain from which to make extracts. Vigorous and fast vegetative growth means that this strain transitions into the flowering period in double-quick time. Its thin fan leaves and long inter-nodal length allows for deep light penetration through the canopy facilitating secondary growth of inner bud sites. Trellising or ties are strongly recommended to support its long spiralling bud sites which display rock-hard raspberry-shaped nugs in the latter stages. Good resistance to all kinds of pests and diseases. Indoors this plant will finish in 63 - 68 days of flowering, with red and purple colours appearing at the end of week 7, with yields of between 375 - 500 gr/m2. Outdoors these plants will grow to be 2 - 3 meters tall or even more with harvest yields of between 1 and 3 kilos dried weight per plant. In the northern hemisphere Raspberry Diesel will be fully mature in the second half of October. The buds are highly resinous and there is a very good bud to leaf ratio making manicuring quick and easy. Flavours are a tasty mix of sweet and sour with the sweet berry attack giving way to a smooth aniseed and petrol/fuel finish. THC production is 18% - 21% with low CBD of 0.1%. The effect is quite energising and functional for daytime use evolving into a nice relaxed body high.